I have a beef with you. Well, several actually, but at the top of my list right now is your Snap Map feature. Please tell me: what possible good can come from the Snap Map? How does giving users (nearly one quarter of whom are teenagers) the ability to see exactly where every one of their snap friends are on a map at any given time benefit them? I'd really like to know. It's bad enough that teenagers can view real-time stories of all the parties and events they're not invited to. Now, they can zoom in on the map to see who's at whom's house, who's together where and when, and — sadly — who's alone by themselves. How does this help anyone? How does this make teenagers feel better about themselves? You likely already know that social media has been shown to increase depression and anxiety in teenagers, right? Your app and the Snap Map, in particular, are obviously contributing to this. Don't tell me that teenagers can just choose to turn the feature off or not use Snapchat at all. That's akin to telling a drug addict surrounded by drugs not to use them. I also don't buy that the Snap Map encourages kids to travel the world by alerting them to all the places their friends are visiting, as your website contends. The Snap Map is kinda creepy, too. It lends itself to stalking-like behaviour, which in some cases cannot be chalked up to benign voyeurism. 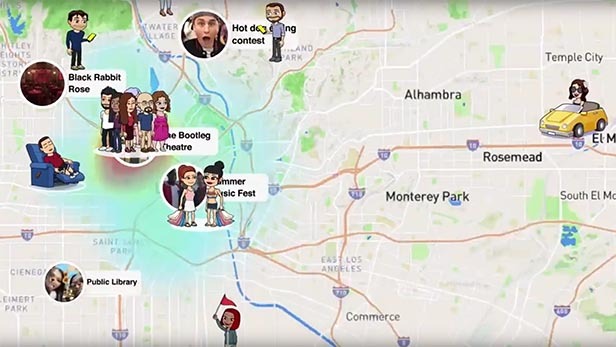 In addition, there's debate about how Snapchat's new Snap Map is stoking privacy and terrorism fears. Help me understand. With so many negatives, what's the upside? It's hard enough to be a teenager these days. It would be great if you could refocus your technological talents towards creating features that help boost self-esteem, character and real friendships, and promote a safer, healthier world for all.